It’s hard to imagine that Ducati has been building bikes for as long as they have. But for all those years in production, you’re bound to get a number of models that have become classics in their own right. 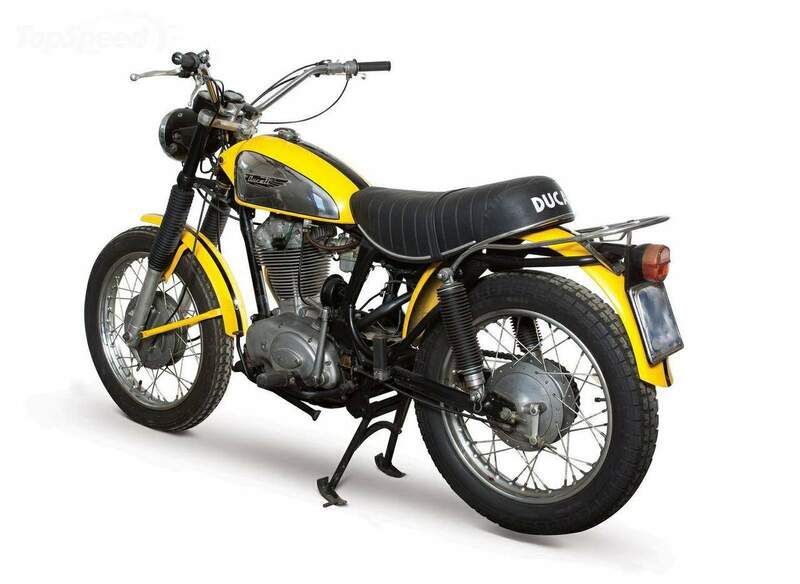 Take the 1973 Ducati 450 Desmo Scrambler for example. 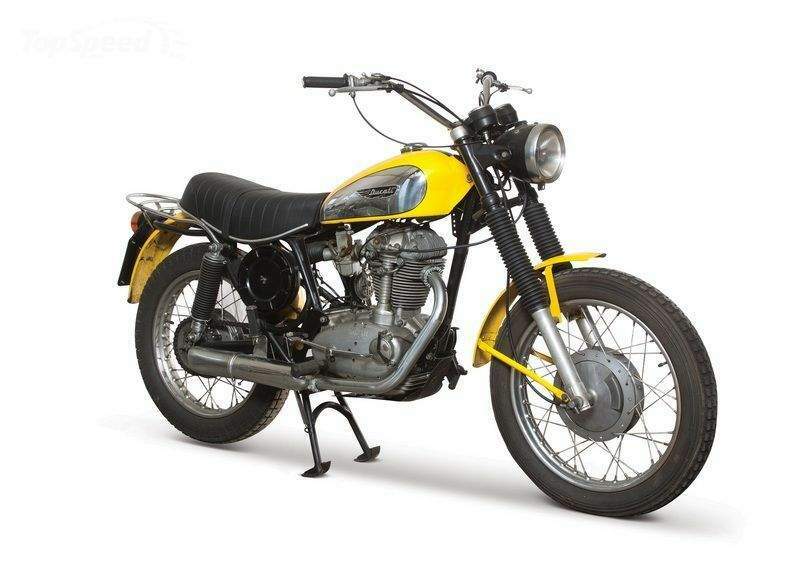 With the anticipation of Ducati’s desmodromic valve gear back in the late 60’s, coupled with the success and popularity of the Ducati Scrambler, it figured that the two would somehow be tied-up together to create a completely new bike. 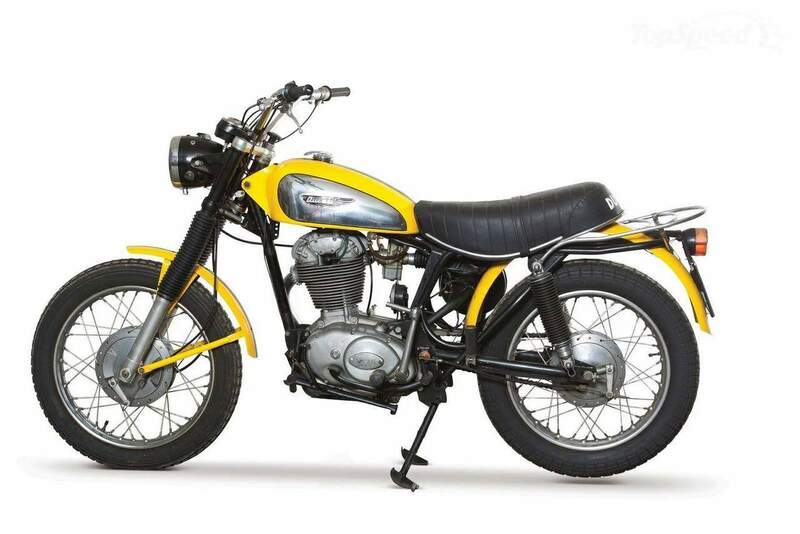 That’s when the Ducati 450 Desmo Scrambler was born. 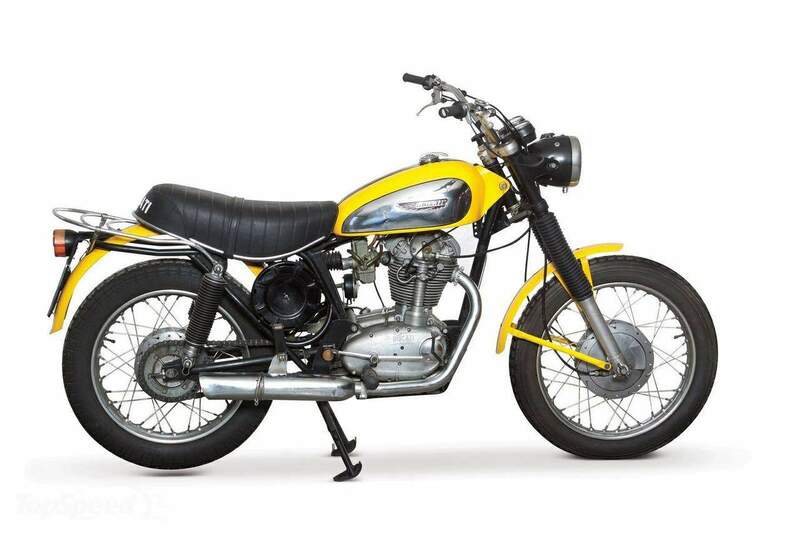 With the technology being fitted into the bike, the 450 Desmo Scrambler became a must-have purchase for Ducati enthusiasts back in the day, in large part because of the bike’s impressive performance credentials, highlighted by a 16.6-second time through the quarter-mile. 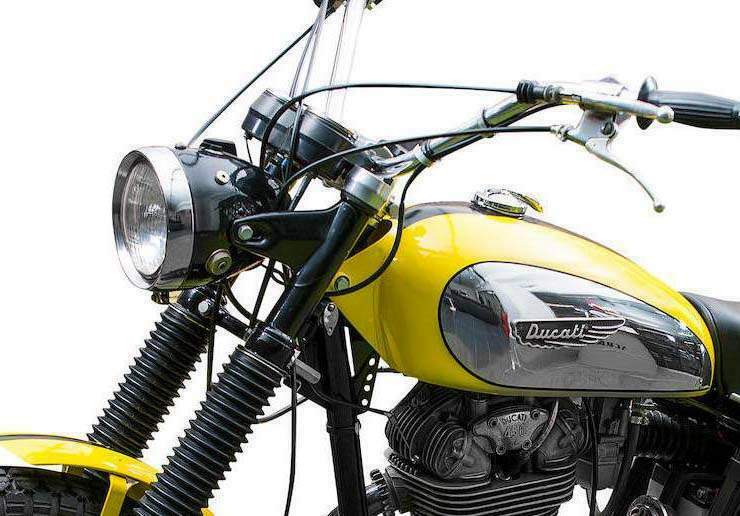 On top of its performance characteristics, the 450 Desmo Scrambler was also fitted with an individual speedometer and Veglia tachometer rather than the headlight-mounted unit sometimes seen on 250-cc and 350-cc models.